George R.R. Martin sold his first story in 1971 and has been writing professionally ever since. He has written fantasy, horror, and science fiction, and for his sins spent ten years in Hollywood as a writer/producer, working on Twilight Zone, Beauty and the Beast, and various feature films and television pilots that were never made. 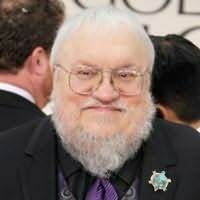 In the mid 90s he returned to prose, his first love, and began work on his epic fantasy series A Song of Ice and Fire. He has been in the Seven Kingdoms ever since. Whenever he's allowed to leave, he returns to Santa Fe, New Mexico, where he lives with the lovely Parris, a big white dog called Mischa, and two cats named Augustus and Caligula who think they run the place. "Hard-edged and colorful and relentless, and altogether a compelling read." "Swordspoint has an unforgettable opening ... and just gets better from there." "One of my favorite fantasy series." "I fell right through the pages.... Even better than the Assassin books. I didn't think that was possible." "Interstellar adventure has a new king, and his name is Walter Jon Williams." "A Shadow in Summer is a thoroughly engrossing debut novel from a major new fantasist. A poignant human tale of power, heartbreak, and betrayal." "Fresh, original, and engrossing - gorgeously realized." "S.A. Swann has written a spellbinding fantasy of the Teutonic Knights and the great Northern Crusade, set in a little-known period of history amidst the gloomy forests of Prussia and Lithuania. Vivid and visceral, dark and delicious, this one kept me turning pages from start to finish." "A bright light on the science fiction scene." "It's been too long since we've had a really kickass space opera." "This is the original Game of Thrones." "Its like a cross between Jurassic Park and Games of Thrones." "Joe Abercrombie is doing some terrific work." "A lively, entertaining blend of murder mystery and supernatural adventure . . . Arthur Conan Doyle would have approved." "Carey dismantles standard notions of both magic and morality, worthy of the field's best writer on such a scale."